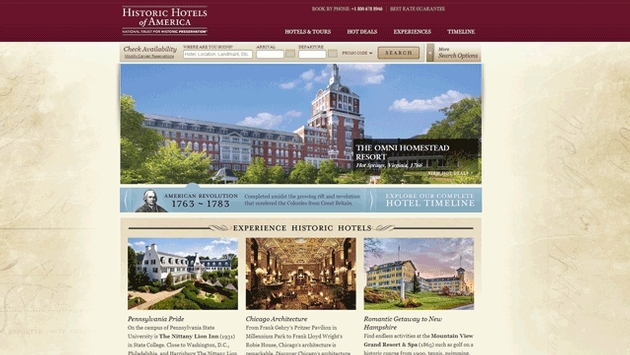 Historic Hotels of America is accepting nominations for its 2014 Awards of Excellence. As the official program of the National Trust for Historic Preservation, Historic Hotels of America demonstrates to the global cultural, heritage, and historic travel industry that these honorees and winners are among the finest historic hotels across America. Historic Hotels of America Awards of Excellence recognizes the pinnacle of this distinct group of nominees in a number of categories and will be presented on Oct. 2, 2014 at the Historic Hotels of America Annual 2014 Awards Ceremony and Gala Dinner. These prestigious awards are coveted in the hospitality industry and winners receive annual recognition, promotion, and customized certificates. 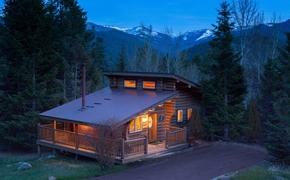 There were more than 100 nominees for the Historic Hotels of America 2013 Awards of Excellence. Nominations are being accepted for Historic Hotels of America members in various categories, including but not limited to: Best Historic Hotel (ranging in size), Best Historic Resort, Legendary Family Historic Hoteliers of the Year, Best Historic Restaurant in Conjunction with a Historic Hotel, New Member of the Year, and many others. Nominations from fellow hoteliers and industry leaders are encouraged. Eligible nominees include members of Historic Hotels of America, including past award recipients. Nominations from travel writers, American historians, travel editors, and historic preservationists are encouraged. To be nominated, the hotel must be a member of Historic Hotels of America. Nominations will be accepted online through July 31. A panel of experts judge and weigh the nominees in each category. With multiple judges scoring each entry. Points will then be added cumulatively and an average score will be determined. All tabulation will be done by officials of Historic Hotels of America and kept confidential. The 2014 award winning hotels will be announced during the Annual Awards Ceremony and Gala Dinner at the culmination of the Historic Hotels of America 2014 Annual Conference at The Hotel Hershey (1933) in Hershey, Pennsylvania. Awards will be presented to winners before an audience of owners, senior management, industry leaders, and representatives from the finest historic hotels and invited media. Sponsorship categories for the gala are available. Limited tickets for the Historic Hotels of America 2014 Annual Awards Ceremony and Gala Dinner are available. The dinner will take place at The Hotel Hershey® on October 2, 2014 at 7 pm. Tickets for the awards ceremony and dinner are $160 for one seat and $1,250 per table (for 8 seats). Contact Historic Hotels of America at +1 202 772 8000 or scalhoun@historichotels.org to reserve tickets.